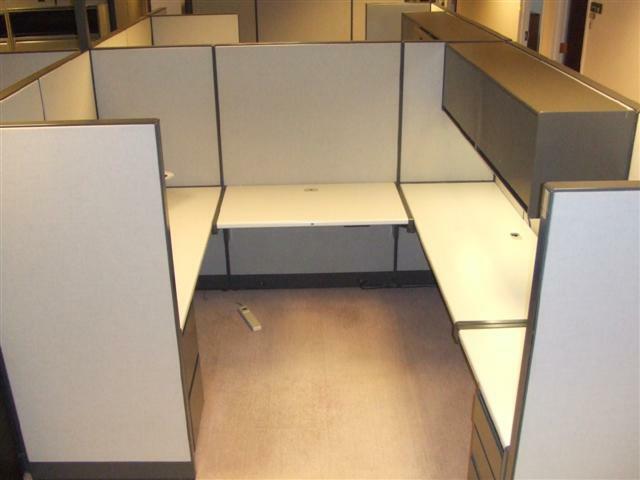 Description: Haworth Places 44" high cubicles in good condition. 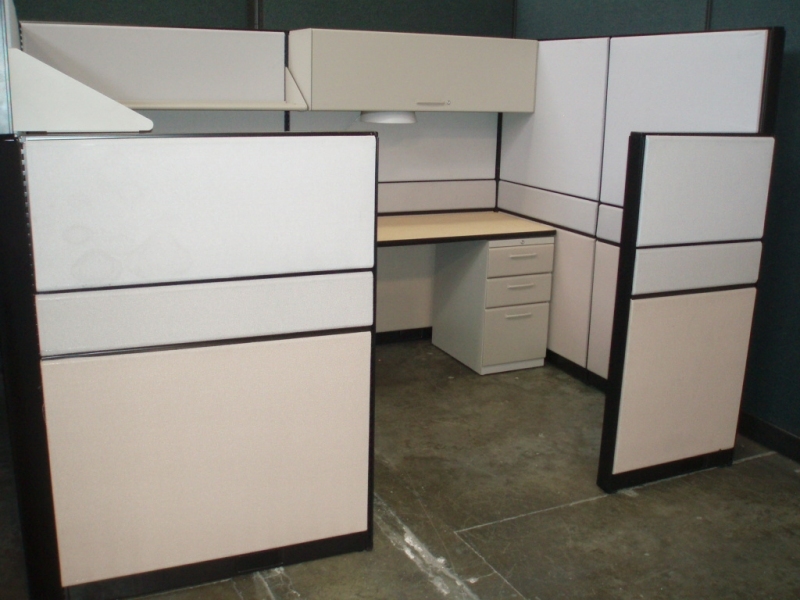 Available in 5x5,5x6,5x7,6x6,6x7,7x7 and larger sizes, call for price. 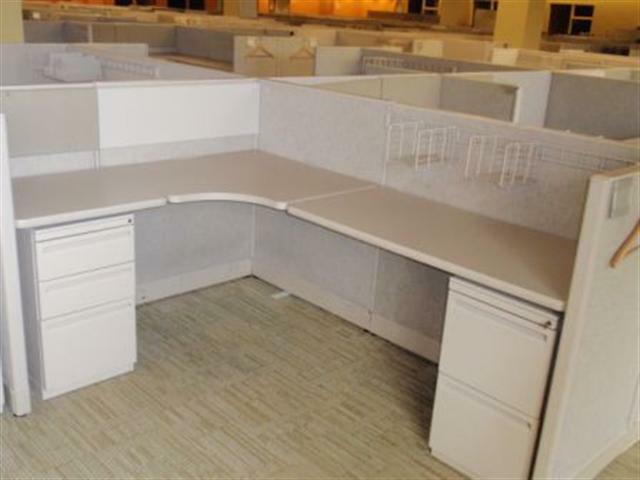 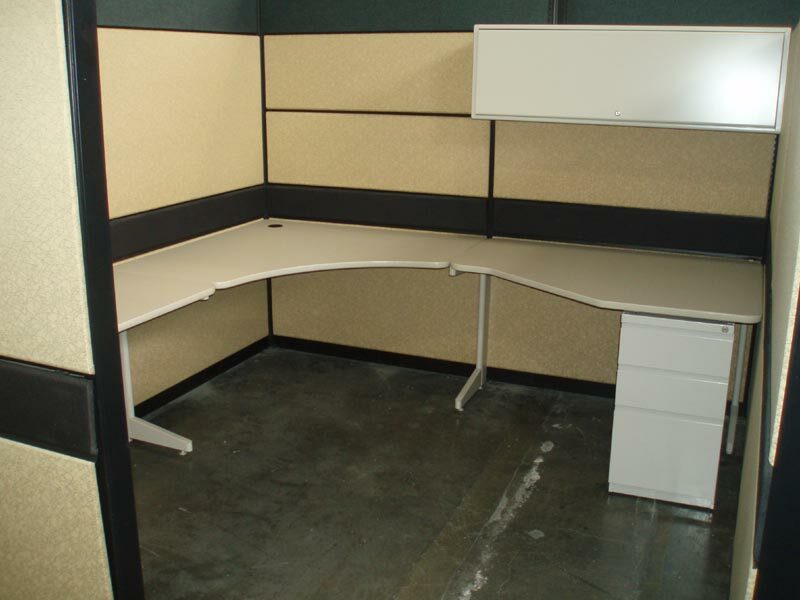 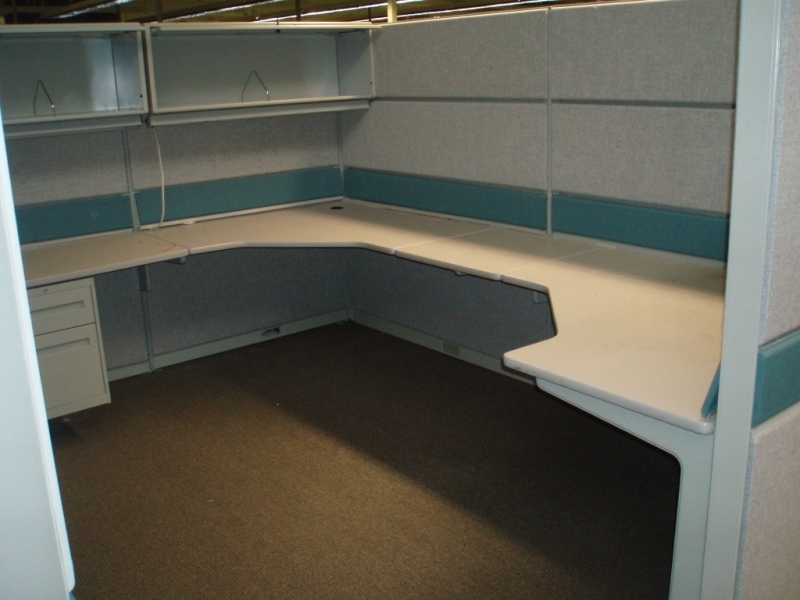 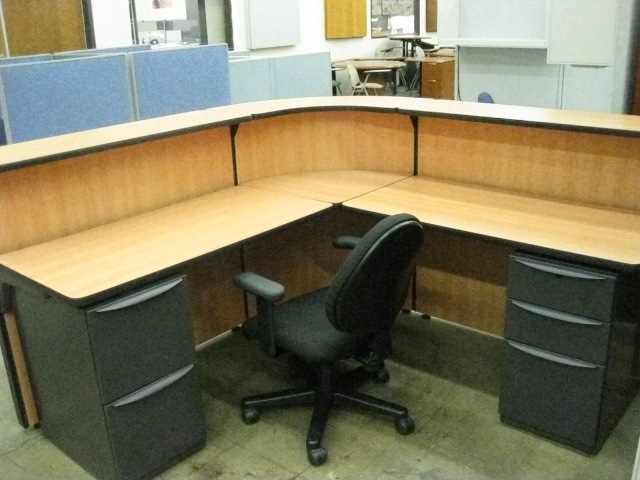 Description: Steelcase 9000 6'x6', 6'x8', 8'x8, flexible cubicles with overhead storage, 2 drawer pedestals, L-shaped worksurface, nuetral gray fabric in very good condition. 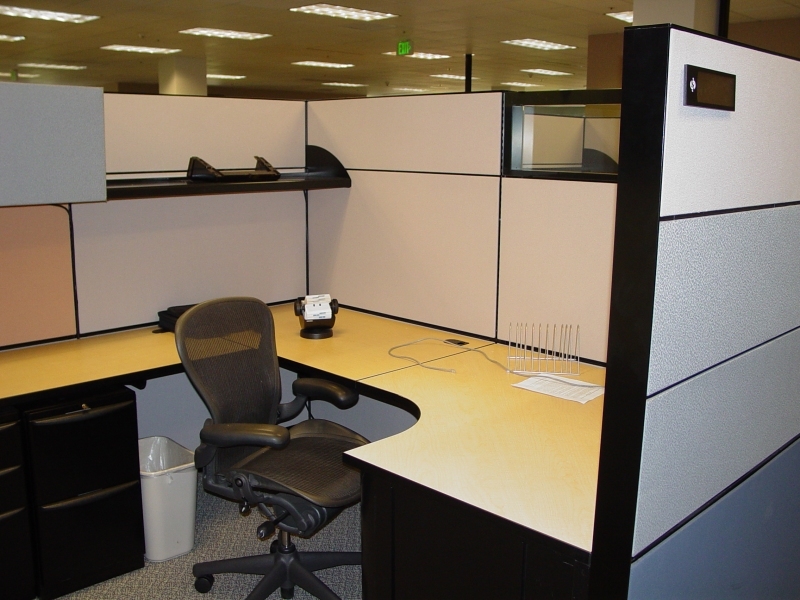 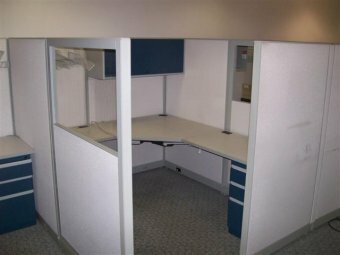 Description: Trendway 6'x6', 66" high glass panel cubicles with 2 drawer pedestals, overhead storage, nuetral light gray fabric in very good condition.